Featuring a solid fence, vital for accurate ripping, which has a heavy extrusion mounted on a cast iron base and fixed to a solid steel bar for maximum rigidity and support. This is based on an industrial Startrite design and much more solid than other fences at this level. 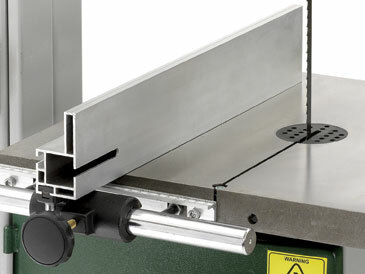 The machine also features a solid double trunnion fence mount to provide rigid table support and one-handed table tilt on a smooth rack and pinion. 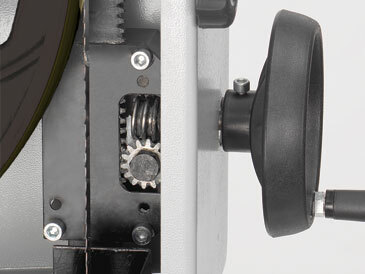 Adding to the structural integrity of the BS300E are the cast iron bandwheels which are fitted with precision ground rubber tyres to provide a flywheel effect for smooth cutting. 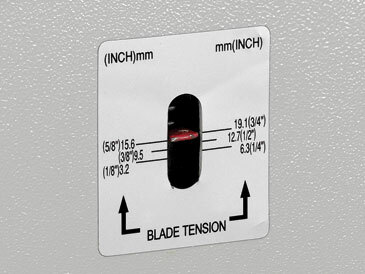 A solid blade tension indicator is fitted to the rear of the machine to allow for easy setup. 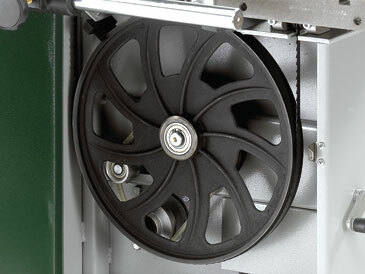 The BS300E is also supplied with a basic wheelkit as standard. Is situated on the rear of the machine. This high quality fence features a heavy extrusion mounted on a cast iron base, which moves along a solid steel bar. This provides exceptional strength and accuracy and is easily locked with the brass screw and handle. 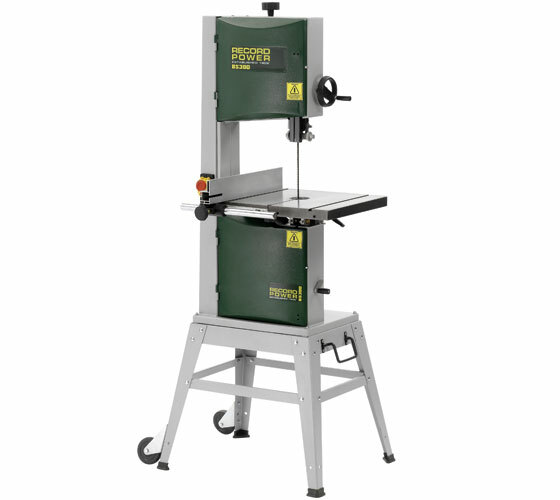 Provides a strong and steady work area to support large workpieces. Finely ground finish enables effortless movement of the timber. 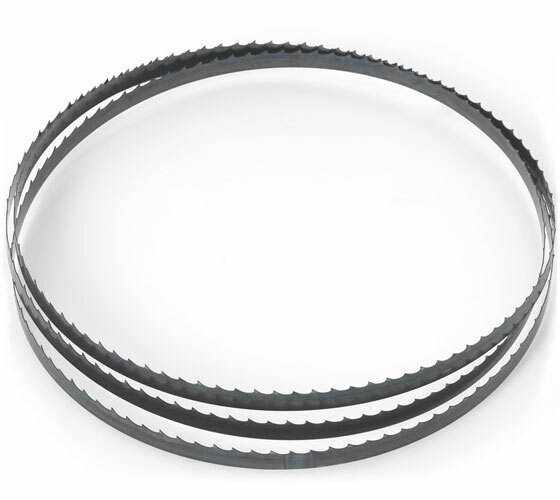 Are dynamically balanced and provide a flywheel effect for improved cutting performance. Rubber tyres are precision ground for easy blade fitting and smooth drive. 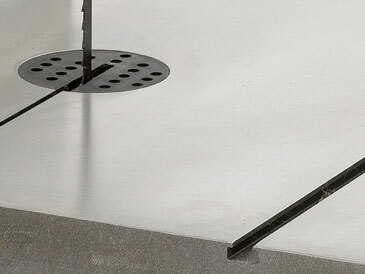 Easy blade tracking to give accurate positioning of blade. Features jacking screws for easy adjustment. 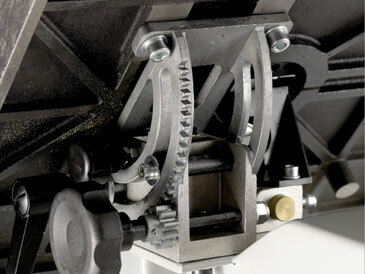 Blade guides need accurately setting if they are to be of any use – so easy access and adjustment are a must. 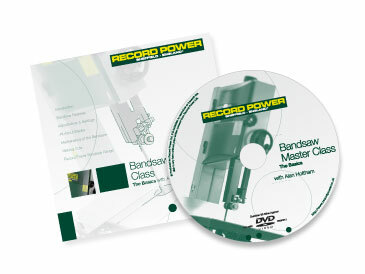 Our guides, similar to those found on industrial machines, give good quality adjustment with minimal need for tools. 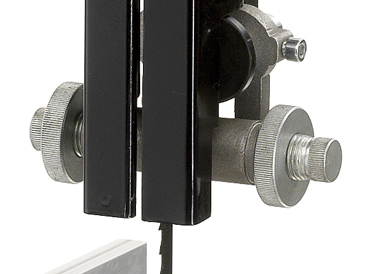 Solid double trunnion table mount for rigid table support featuring one handed rack and pinion table tilt for ease of use and accuracy. 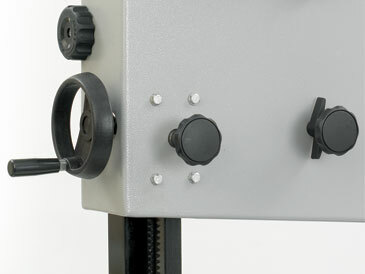 Mounted on top of bandwheel box with jacking screws for easy adjustment.